The Trap Film After being raped by a dirty cop, and losing her job, a young, Black, Muslim, single-mother in Baltimore, rebels against her religious Imam father, and to provide for her daughter on her own terms, takes over her cousin’s drug- dealing operation; embracing the violence that comes with the crown. Welcome to my hometown: Baltimore, Maryland. 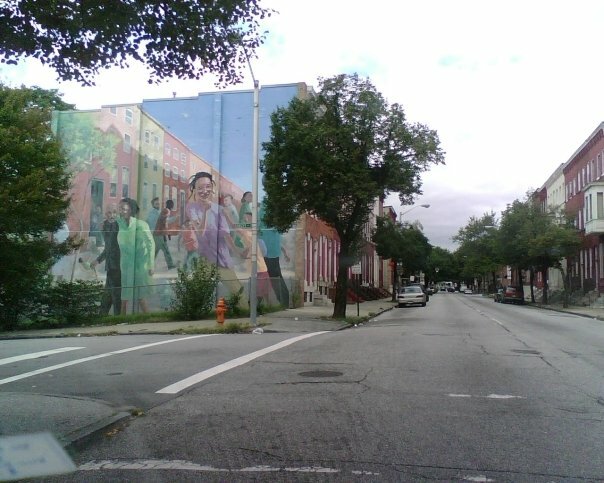 Our town population is about 650,000 and is approximately 65% African-American, and a sizeable percentage of the African-American population in Baltimore consists of 1st, 2nd, and 3rd generation Muslims. Our town is known for its crime, specifically drugs and murder. The homicide rate in Baltimore is nearly seven times the national rate, six times the rate of New York City, and three times the rate of Los Angeles. 23% of the population lives below the poverty line. The Trap is a story that so many young men and women in West Baltimore can certainly call their own. And, many people worldwide will see something in the story to which they can relate. This is the story of Ameena, a Black, Muslim woman, who after being raped by a dirty cop, and losing her job, she rebels against her religious Imam father, and to provide for her daughter on her own terms, she takes over her cousin’s drug- dealing operation; embracing the violence that comes with the crown. Oh, Baltimore, ain’t it hard just to live? I grew up in the West Baltimore Muslim community, and I’ve been a member of the community in and around Masjid Ul Haqq for over 30 years. Back in the 70’s there was a school called Sister Clara Muhammad School, inside the Masjid (A Muslim place of worship.) on Wilson Street. It’s the same building where I attended preschool, met Muhammad Ali, and had my first crush on a boy; and the building is still standing. 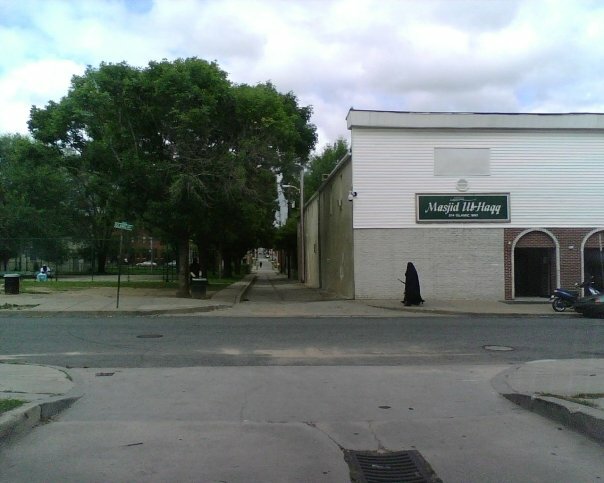 It’s the same building where I founded a Muslim Youth Group, later taught elementary school, and even later got married. There have been many, many weddings, baby naming celebrations, and funerals at this Masjid. It, and the people in the community are a part of a rich history, being Black and Muslim in America. When I left Baltimore, I flew to L.A. armed with OUR stories, I vowed to share them through film. I miss you woman. Congratulations!! What is your schedule these days. Hit me up on my cell. Wow,it is definitly the time the the Muslims side of the struggle is depicted on wax, i pray that Allah guide ur work ro the highest place that it can go! We are fans and are here for you! Strive, inspire, create, love, be positive, and act, the road ahead will not have a choice. Congrats Cuzin! We miss you a lot. Looks like you are very busy with your new project. Sounds like a story of facts. I hope you remember us from New horizon school. Would be appreciated highly if can write us back. Wish you a very very good luck on your film project.